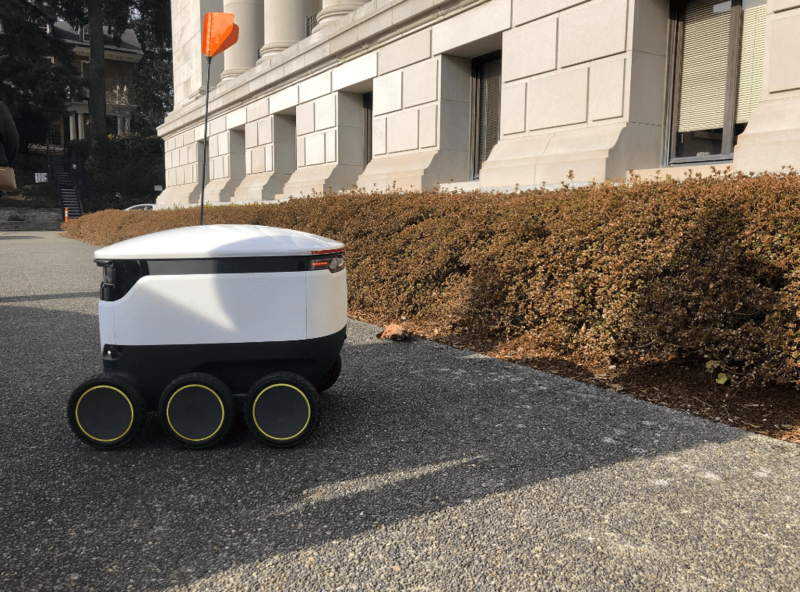 Autonomous delivery robots like the one pictured above could soon be authorized to operate on Washington’s sidewalks, if the Legislature passes a bill regulating them this session. If it does, the bots will be expected to follow many of the same rules as pedestrians. 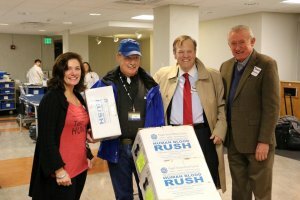 Lawmakers in both the House and the Senate have introduced bills that would define and regulate “personal delivery devices,” used by businesses to deliver goods like take-out food and packages to customers’ doors. The devices that would be regulated by the bill are largely autonomous but can be remotely operated and monitored. The bills’ definition of the devices includes a 120-pound weight limit (before goods are added) and a maximum speed of 10 miles per hour. 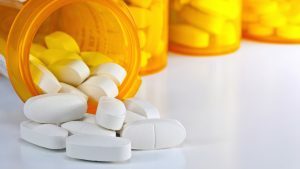 Under the bill, other physical requirements for the devices include a unique ID number and marker with contact information for the business that’s operating it, an effective braking system, and lights if the device is out and about at night. Operation of the devices would be allowed on sidewalks, as long as: it’s allowed under local laws and ordinances, an operator is actively monitoring or controlling the device, and the business that owns it has an insurance policy with a liability coverage of $100,000 or more. Essentially, according to House bill report, the robots would abide by the same rules pedestrians do, except: they couldn’t cross a road unless it’s a marked crosswalk, an unmarked crosswalk at an intersection, or “a crossing between curb ramps.” Additionally, the devices would have to yield to pedestrians and bikes. If the device were to commit a traffic infraction — say, if it crossed the street outside of one of the above-mentioned crossings — the citation would be issued to the business operating the bot at the time. Both bills relating to the delivery devices were heard in committee today. Representatives from Starship Technologies, which designs and sells robots that would be regulated under the bill, presented to the committees and explained the tech further. David Catania, Head of Public Affairs for Starship Technologies, shared more about what consumers could expect if their particular robots were on Washington sidewalks. He said a user orders goods through an app and can monitor the bot’s position en route. When the bot arrives, the user taps a link to unlock the bot and get their goods. There’s a video of the process available here. Concerns voiced in public hearing included a few from the Association of Washington Cities, the representative for which questioned what government entity would ensure requirements like insurance coverage and a working brake system were met. 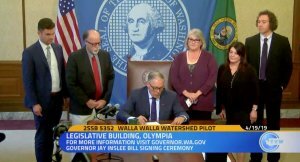 According to the Senate bill report, there’s currently no definition or regulation on such devices in Washington, and local governments generally determine how their respective sidewalks are used. As an example, Seattle-based Amazon recently unveiled Amazon Scout, “autonomous delivery devices” that they’re currently field testing in Snohomish. 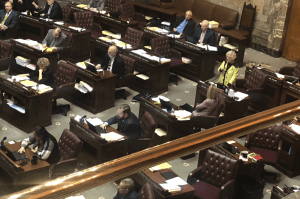 In the meeting, Rep. Shelley Kloba, lead sponsor on the House bill, said this bill is meant to “set a floor” of basic requirements to which cities can add their own. “I want you to all embrace the future that is right here, now, in front of us,” Koba said.